The pilgrimage passed off peacefully and no untoward incident was reported. Ten pilgrims had died last year in a terrorist attack. 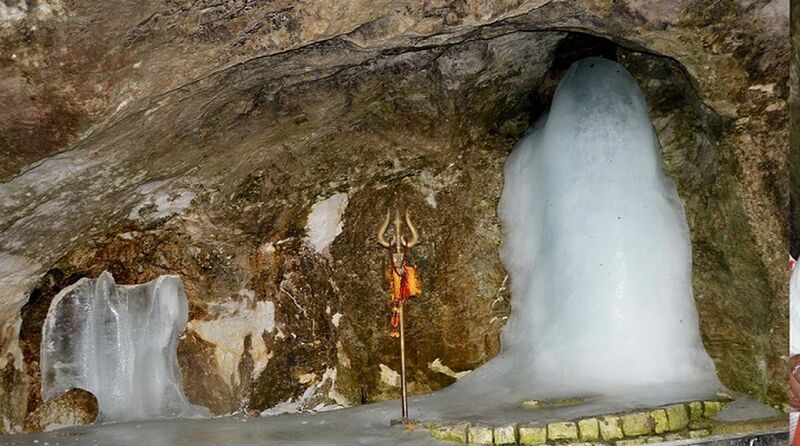 The two month long annual pilgrimage to the Holy Cave Shrine of Shri Amarnath shrine in the Himalayas of south Kashmir concluded peacefully on Sunday. As many as 2,85,006 pilgrims paid obeisance at the Holy Cave Shrine during this year’s pilgrimage, which had commenced on 28th June along both the Baltal and the Pahalgam routes. Bhupinder Kumar, Additional Chief Executive Officer of Shri Amarnathji Shrine Board along with; Piyush Singla, Deputy Commissioner, Ganderbal, visited the Cave Shrine early this morning and prayed for sustained peace, harmony, progress and prosperity in the State. Additional CEO interacted with the Camp Directors, Additional Camp Directors, Deputy Camp Directors and other officers at Holy Cave, Neelgrath and Baltal; and reviewed the ongoing Sanitation and Camp cleaning initiatives being undertaken by them during the 2nd phase (from 25th to 28th August 2018) of the ongoing sanitation drive. While expressing satisfaction over the sanitation drive taken up by the Shrine Board with the active cooperation of the Anantnag and Ganderbal district administrations Kumar exhorted camp directors, CEOs of PDA, SDA, and the head of involved agencies to ensure that all bio-degradable and non-biodegradable wastes, including plastic wastes, were disposed off in accordance with approved action plan after the conclusion of the Yatra. The Additional CEO complimented the civil and police administrations of Anantnag and Ganderbal districts, J&K Police, Central Armed Police Forces, Army and various state government departments and all other agencies for the smooth conduct of the Yatra.